Uh oh, what did you do? Whether you are the pet parent of a male or female dog (yes, females do it, too), there is a likelihood that you’ve struggled at one time or another with your beloved pooch marking his or her territory within your home. It can be a common and quite irritating issue, especially when Max or Bella chooses to make his or her mark on your brand new rug or pristine wood floors. Many pet parents misunderstand canine marking. Believe it or not, it is NOT the same as your dog simply urinating indoors. Your dog’s marking inside the home could be his/her assertion of authority, dominance or sexuality among a larger group of animals or beings, a.k.a. the dog’s “pack.” This can happen if there are more then one dog in the home or if your dog SEES another dog through the wndow. It could also be a dog that is anxious or stressed, especially if anything has changed in a home. This may also be due to a UTI, so a vet visit would be first on your list. What Can I Do to Stop My Dog’s Marking Behavior? If there is a particular item he or she marks and seems to go back to that same item on a consistent basis, simply remove the item from your home. Pay close attention to your dog and learn his or her signals that show the intent to mark. By doing so, you can interrupt the process and use positive reinforcement to encourage your precious pooch to do his/her business outdoors. 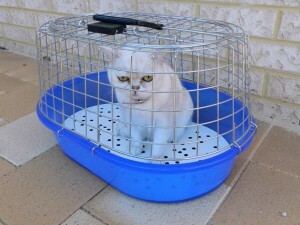 Crate your dog when you are away from home and/or during the night if marking seems to be a great issue for him/her. Dogs, when confined to a smaller space, typically choose not to mark their small territory and don’t like to soil their sleeping space. When your dog does mark, or simply has a potty accident indoors, ensure that you clean all soiled areas thoroughly. Places your pooch has marked are important to him/her as they define territory, so be careful to remove every trace of his/her personal scent. A mixture of equal parts distilled white vinegar and warm water will often suffice to remove the smell. You may even try a high-quality pet odor neutralizer over the spot after it has been thoroughly cleaned. Often times, you may find that your well trained dog has reverted to marking if there is a significant change in the home. For example, if a new family member or pet has been introduced, an older dog may feel as if his or her status in the home is being challenged. If this is the case, you may be able to deter the marking behavior by ensuring your give your dog extra love, care and attention. Understanding he/she is still important in your life despite the change in the home is of the utmost importance. If, despite your best efforts, your dog continues to mark within the home, consult with your veterinarian as there may be an underlying medical issue that needs to be addressed. Pets improve our health throughout our life, and this is no different when we get older. As we age and near our golden years, many of us recognize the most difficult challenge as the changes in our everyday activities. We’re just not able to do the same things we once did. For example, what was once a quick trip to the grocery store may now be an all-day activity. And walking to the mailbox may feel more like a cardiovascular workout than a light jaunt to the end of the driveway and back. Luckily, with the proper support system, entering your senior years doesn’t have to be an uncomfortable, lonely, exhausting or nerve-racking process. And, when it comes to support, what better option could there be than a four-legged pet to care for and love, and who will love you unconditionally in return? Many older adults find themselves on their own often, looking for someone or something to help occupy their time. Studies have shown people who share their life with a pet enjoy significant health benefits and a pet may even help elderly people live longer, healthier and happier lives than those without pets. Offer security (yes, even a 12 lb. barking Maltese can make a potential thief think twice!). Okay, so having a pet obviously has its benefits, but what about the drawbacks. If you’re considering welcoming a pet into your life, be sure to weigh the negatives, too. Pets can tie you down and may not be a good choice for a senior citizen who is retired and has the freedom and desire to travel. However, many people prefer to bring their pets along on trips and, for those who don’t, there are professional pet sitters available to lend a hand. Keeping a pet can be expensive as they require quality food, veterinary care and sometimes emergent care. A pet likely isn’t a good choice for someone living on a limited income. Pets are a long-term commitment. Some senior citizens may not want a pet because they worry about the care of the pet in the event they fall ill. Or they may worry about a change in living situation and whether or not the pet will be able to come along. These are valid concerns that should be seriously considered. Yes, pets are an excellent source of companionship for anyone, young or old. 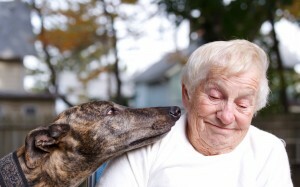 Pets can serve as a support system for seniors who may not have any family or close friends nearby, as long as the -person is able to handle the responsibility that having a pet brings. Our four-legged friends are there when we need them, can sense our emotions, and provide us unconditional love and devotion that anyone, no matter what age, can truly benefit from! The National Safety Council is working diligently to spread awareness about the dangers of distracted driving. With the increased use of technology while driving, thousands of deaths have resulted. However, taking or making phone calls, sending texts and emails and posting selfies on social media aren’t the only way we as pet parents get distracted. According to a survey by AAA and Kurgo Pet Products, 84 percent of the people that took the survey say that their dog is a regular passenger in their car however; only 16 percent of those people use a restraint for their safety as well as their pet’s safety. The survey goes on to say that 29 percent of pet parents surveyed admit to driving while being distracted by their dogs but 65 percent of the people surveyed engaged with their dog in a way that is considered to be a distraction. That means pet parents are driving distracted and they don’t even realize it. Ignorance is not always bliss, friends. So, why don’t people use pet restraints to limit distractions while driving? 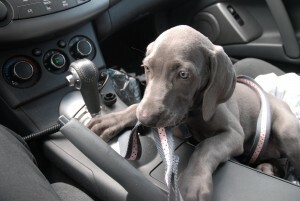 There are many options to consider when purchasing a pet restraint for your car. 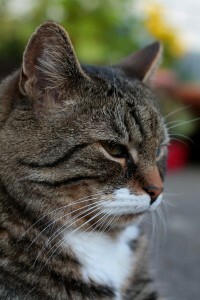 Yes, the ears of a cat are a prominent and distinctive feature, and, just like dogs, they can sometimes have problems. If you notice your cat has been scratching his ear often, or see a discharge coming from his ear, it could very well be due to an ear mite infestation. Ear mites are very small insects that can live inside an animal’s ear. They feed on debris in the ear, as well as your pet’s ear secretions and blood, and can infest both indoor and outdoor cats. Just like fleas, mites can travel very easily from one pet to another, and young kittens and senior cats are most prone to suffering from ear mites. Ear mites are the most common cause of cat ear infection and irritation, but there are other kinds of ear infections, so it’s best to make a positive identification of ear mites before beginning treatment. One way to be positively identify ear mites is to take a sample of the build-up in your cat’s ear, using a tissue, cotton ball or ear swab (be careful not to enter your cat’s ear canal). If you have a home microscope, study the sample and look for movement. Any movement indicates mites. Don’t have a microscope? Take a very bright light, or stand in the sunlight, and look carefully for movement. Still not sure? Your safest bet is to take your cat to your vet for an examination. Other symptoms of ear mites include itchy ears, shaking of the head, and a bloody or red and irritated ear (due to excessive scratching of the ear). If the mite infection is bad enough, the debris may spread to the outside of the ear as well. There are many options for treatment, but, with any, the first step is to clean your cat’s ears well. Many pet supply shops have over-the-counter ear cleaners, but baby oil on a cotton ball works just as well. Gently swab the ear, remembering to never enter the ear canal, to remove as much debris as possible. Keep in mind, your cat’s ears are likely very sensitive, so be extremely careful and tender. Next, you will need to apply miticide or a natural remedy to the ear. Miticide is an ear mite treatment that can be purchased from a pet supply shop, and may take up to a week or longer to remedy your cat’s infestation. Another alternative is a prescription miticide from your vet, which can get rid of mites in one dose. As well, there are natural remedies such as smothering the ear mites with olive, mineral, almond or baby oil. No matter which treatment you apply, if your cat does not get well within a few weeks, have your vet check her for other issues. While ear mites are a likely culprit of ear discomfort, there are other possible ear infections that require diagnosis and treatment from your vet. Whether you have children or not, chances are you’ve heard the rumblings amongst parents and medical professionals when it comes to hyperactivity (ADHD) in human children. Yes, there’s no doubt that many children genuinely suffer from ADHD, but some parents and professionals alike believe that too many are diagnosed with the problem simply because they are overly energetic, leading to unwarranted treatment. Similarly, there are some dogs who seem to have endless energy – they can’t seem to relax, can be destructive, and tend to whine a lot. So, is it possible that dogs can suffer from ADHD, too? Yes, ADHD can be diagnosed in dogs, but it is extremely rare. In most cases, a dog identified as hyperactive is actually just bored, seeking attention, or anxious. Many first (and even second) time owners don’t understand just how clever dogs are, and that they need something to do with their brain, and a way to use up their often boundless energy. Without the proper, sufficient physical and mental stimulation, they aren’t likely to feel settled or relaxed. This is particularly the case if your dog is of a working or herding breed, such as a shepherd or retriever. Dogs that were bred for a working career have huge energy levels and they need a job to do. So, what can you do if your dog is driving you crazy with his hyperactive behavior, and you suspect he may have doggy ADHD? Make your pooch an appointment with your veterinarian. Have your vet determine if your dog is suffering from anxiety. This isn’t uncommon in dogs and if it can certainly have a negative affect on your much loved canine companion, but there are things you can do to help. Your vet may refer you to a specialist veterinary behaviorist for treatment. Increase your dog’s amount of daily exercise. Dogs get an endorphin rush from exercise just like we do, but only with high intensity activity. This means a casual walk won’t make him feel better. 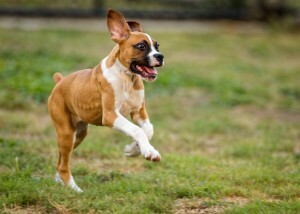 Rather, get his heart rate up by taking him jogging or playing ball in the yard until he is panting and at ease. Be mindful of the weather and don’t overdo it in the heat. And, always have water on hand to ensure he doesn’t become dehydrated. Consider registering him for obedience classes or agility training. Maybe teach him how to catch a Frisbee, or a water sport such as retrieval or diving. Simply teaching him new tricks will help stimulate his mind. Even if your dog is well behaved and doesn’t need to learn any manners, on-going training will make him think harder and leave him mentally fatigued and calmer. Teach your dog to settle and calm down by training him to go to and remain quietly in his spot (for example, his bed or a crate). This is where a good dog trainer can help you, but make sure you do your homework – choose a trainer with experience in working with active dogs, and only use positive methods to teach your pooch how to relax. 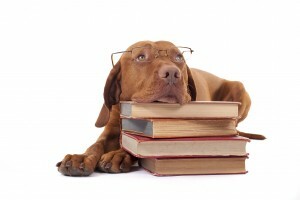 If you invest the time and effort in changing your dog’s behavior, he will be calmer and more relaxed, and so will you! Heartworms in cats and dogs, known by their scientific name Dirofilaria immitis, are worms that infiltrate the blood vessels associated with the heart and lungs. Heartworms are spread using mosquitoes as vectors. Adult heartworms lay larvae, called microfilariae, that are small enough to travel through and infect the bloodstream. Mosquitos who feed on the blood of an infected animal ingest the microfilariae which are then transmitted on through subsequent mosquito bites to other animals. After transmission, the microfilariae take approximately 6 months to mature into adult worms and travel through to the pulmonary vessels. Adult heartworms can live for up to 5 to 7 years in dogs and 2 to 3 years in cats. During this time, their presence within the system can cause white blood cell and platelet accumulation, damage to blood vessels, thickening of pulmonary walls, blood clots, interference with cardiac (heart) function, and reduced cardiac output. Heartworm infection has been diagnosed throughout the 50 states in the U.S. Risk factors include climate variation and strays or wildlife as carriers. There are over 70 different species of mosquitoes that are capable of supporting the transmission of heartworm during feeding. Rates of infection can vary each year, depending on the presence of mosquito activity in the area. Diagnosis of heartworm involves blood tests as well as radiography and ultrasonography. A routine annual blood test is recommended because there is still some risk of contracting heartworm despite prevention protocols in place. Pets must also be tested for heartworm before initiating any preventative treatments as preventative medications can cause illness when given to infected animals. Once a small blood sample is obtained, blood is measured for the presence of antigens and antibodies associated with heartworm larvae. The initial blood test is usually performed in-clinic. Additional samples may be sent away to a reference laboratory to confirm a positive diagnosis with complementary testing. Radiography or ultrasound can also be used to look for the presence of heartworm. Evidence of infection can be seen radiographically with changes to pulmonary arteries, enlargement of the heart, pleural effusion, and lesions within the lungs. Treatment is initially aimed at stabilising the condition of the dog or cat and eliminating associated clinical signs through supportive therapy. In dogs, if the infection is diagnosed before any extensive damage then there is generally a good prognosis. Unfortunately, the elimination of heartworms can be a lengthy and expensive treatment. The administration of drugs that kill the adult heartworms is usually required over several months, during which physical activity must be limited and the dog must be closely monitored. Risks include dead heartworms causing a blockage of blood flow to the lungs. Preventative medications are also given to kill the microfilariae and prevent reinfection. Cats are treated with supportive therapy to control and eliminate damage caused by heartworm. The drug administered to kill adult heartworms in dogs is not safe for use in cats. On occasion, adult heartworms in cats can die off on their own due to natural resistance. There can still be complications related to dead heartworms being present in the blood vessels. Infected cats will require routine monitoring and preventative medications are given to avoid reinfection. Prevention is the number one key to heartworm control in both dogs and cats. Preventative treatment is recommended year-round for best control practices. There are three types of preventative medications available – oral, topical (applied on the skin), and injectable. Oral medications are available in the form of a pill or tablet and are given monthly. They are often flavoured with malt or chicken to increase palatability. Topical medication is available as a spot-on liquid treatment which is applied on the animal’s coat and permeates through the skin. It is usually applied every 4-6 weeks, including in winter months. Some clinics may offer an injectable prevention for dogs (not available for cats), which can be effective for 6 months. Preventative medications are aimed at killing the heartworm microfilariae (larvae). Strict adherence to treatment intervals is necessary as older larvae are likely to resist preventative medications and develop into adult heartworms. A complimentary aspect to heartworm prevention is reducing mosquito exposure. Limiting exposure can be achieved by keeping dogs and cats inside during hot afternoons and evenings when mosquitoes are most active, administering mosquito repellent, and avoiding areas of stagnant water. Preventative medications are still required. Heartworm infection has been diagnosed throughout the U.S. in all 50 states. Heartworm infection can cause damage to pulmonary vessels, breathing difficulty, and reduced cardiac output. A large accumulation of worms in the bloodstream can be fatal. Heartworm infection is best avoided with consistent use of preventative medications. Before any preventative medications are started, a blood test will be performed in-clinic to test for the presence of larval antigens. Routine blood tests are then performed annually to confirm the effectiveness of preventative protocols. Regular veterinary check-ups and a good prevention protocol are the key to heartworm control in dogs and cats. There is a lot to consider when making the decision of whether to hire a pet sitter or board your pet while you’re away from home. You know your pet better than anyone else, so it’s up to you to determine which option is the best fit for your precious pooch or cuddly kitty. Having been in the Animal Field in many aspects since 1978, I have seen many things. Here are a few things to ponder when planning your next trip. Often, dogs are not walked, but rather given a few quick potty breaks throughout the day. Pets kept in group environments, like that of a kennel, don’t receive a lot of one-on-one attention. Limited pick-up and drop-off times aren’t always conducive to your travel plans. For example, if your return flight arrives late, your pet will likely have to spend an extra night in the kennel. This can add additional expense and be quite inconvenient as well. Many pet parents don’t think to ask if the kennel in which their pet will stay as a human on staff 24 hours per day. This is a very important question, as many facilities do not have a person present overnight. What if there is a fire, or your pet becomes ill and needs urgent attention overnight? What is there emergency protocol? If your pet does require veterinary care while boarded, what type of care will he receive? Many boarding facilities can become quite smelly due to dogs going potty indoors and the lack of fresh air circulation. This makes it easier for bacteria to spread to other pets in the facility. Kennel cough is a highly contagious respiratory disease that can easily be spread when dogs interact with infected dogs. Will you have assurance that your dog won’t fall victim? MOST pets, ESPECIALLY CATS, become very stressed when in a foreign environment without their loved ones. This can result in a variety of issues, such as loss of appetite, stress-related behaviors such as paw licking, and overall depression. 9. Visit all places, and check facilities out before booking. 1. Recently, in the past few years, people have been making extra money by bringing pets into their homes to stay. BE VERY CAREFUL. If you do NOT know these people well, then it is up to you to make sure you are leaving your pets in safe capable hands. In home boarding can be a great alternative with a reputable business of a experienced person. If the home has all the insurances, safety features and good testimonials. Look for a business that has been in business for 5 years or longer, so they have had time putting things in place for safety. This will also let you know they are serious about pet care. As with boarding kennels above, check out all of their policies, with veterinary care, emergency protocols, etc. 2. It is best to do a ton of research. Stay away from online listings, like craigslist, care, rover, etc. These are TECH companies who are making money on these types of services, similar to Uber but you are trusting your pets health and welfare to these people 24/7. These listings make it very easy for people who know nothing in pet care to make a few extra bucks. No one checks up on these people to make sure they have insurance or experience or a safe environment. 3. It may look okay when you check it out. You want to check fences (any gaps underneath, gates secured and padlocked so they can not be opened). Does the home smell? Is the yard picked up of all yard waste (are you sure that parasites are not living in the dirt)? Any children? Children coming and going are all opportunities for pets to slip out doors. Where will your pet be kept? Sleeping? Some have been found to keep pets crated in a basement while you are gone without owners aware. 4. Do these people have a website? A website will give a small indication that they are at least willing to put money in this and not be a flight by night uber type pet care person. Do they have a business facebook page with at least 10 reviews? What if this person has a medical emergency and is rushed to the hospital or they have a death in the family and must leave, what happens to your pet? 1. Pet sitting is when a pet care person comes to the pets’ home to care for them. This is the best in pet care. The pets are not stressed being in a new environment, being around other pets who also maybe stressed. The pets have their own smells, toys and furniture as well as dishes and food. 2.Pets are most comfortable in their own environment, where they have their familiar toys, beds and smells. Pet sitting in your home is typically a less stressful scenario for your dog or cat. There’s something to be said for sleeping in your own bed, and your pet is likely to agree! 3. Mental stimulation and exercise is important for your pet. Dogs need to be walked regularly, and a pet sitter will do just that! 4. A pet sitter will provide your pet with the quality, personalized ONE ON ONE attention he needs and deserves. 5. Pet sitters can help with your pet’s specific needs. 6. By choosing a pet sitter to care for your pet in his own home, you are virtually preventing he will not be exposed to bacteria that cause illness, such as Kennel Cough. 7. If you have multiple pets, they will have each other for companionship, and remaining in the care of a pet sitter will likely be less expensive than boarding multiple pets. 8. What if you have a 5 a.m. departure flight? Or you run into heavy traffic on your drive home? There’s no need for concern, as there are no pick-up and drop-off times with a pet sitter. 9. While it’s comforting to know your pet will receive quality care while you’re away, it’s also comforting to know your house is being looked after as well. Your plants will get watered, mail and newspapers will be brought inside, lights will be turned on and off, and your home security system will be properly armed. 10. As with ALL pet care choices, you must do your due diligence for the safety and welfare of your pets. As with in home boarding, It is best to do a ton of research. Stay away from online listings, like craigslist, care, rover, etc. These are TECH companies who are making money on these types of services, similar to Uber but you are trusting your pets health and welfare to these people 24/7. These listings make it very easy for people who know nothing in pet care to make a few extra bucks. No one checks up on these people to make sure they have insurance or experience or a safe environment. 11. Make sure to check their emergency policies, if a scheduled sitter is ill or has an emergency, will there be back up care. 12. 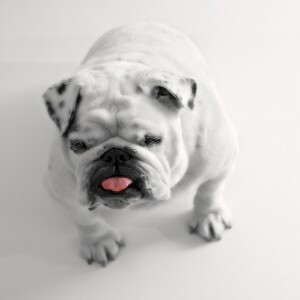 We do have our written article – What to look for in a Pet Sitting Company. Please feel free to use it. I love these newsletters !